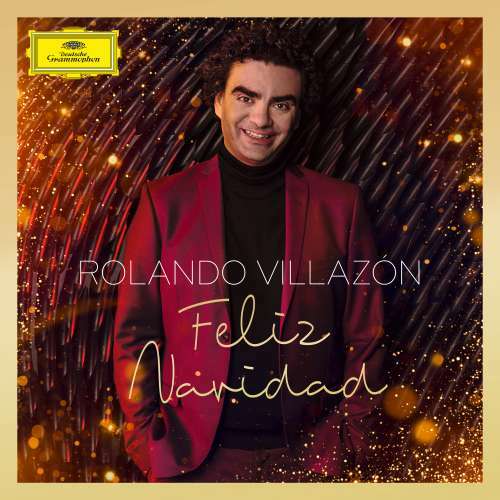 12 November 2018 (Toronto, ON) - Rolando Villazón preserves the seasonal spirit in his latest album for Deutsche Grammophon/Universal Music Canada, the country’s leading music company. Feliz Navidad, set for international release on November 16, offers a snapshot of the songs and carols that have shaped the Franco-Mexican tenor’s fondness for the Christmas spirit. He has chosen pieces in the five languages in which he is fluent and from the cultures with which he has a close affinity. They reflect both his personal story and the universal message of Christmas, a time for empathy and community, for family and friends, and for opening our hearts and minds to those in need. When it came to French repertoire, Rolando chose the timeless beauty of Adolphe Adam’s “Minuit, chrétiens” and the tender strains of a more recent classic, “Petit Papa Noël”. “I’ve lived in France for 20 years now,” he recalls. “I remember the first time I heard ‘Petit Papa Noël’ was at the Cirque d’Hiver in Paris. At the end of the performance, the ringmaster always sings ‘Petit Papa Noël’. I saw everyone singing it and thought it was very beautiful. It then became a Christmas tradition to take my kids to the circus, and now ‘Petit Papa Noël’ has become part of their memories, which is why it’s fixed in my heart.” Since the song’s first release over seventy years ago, it has become the best-selling single of all time in France. Rolando is joined in duet for his version by Julie Zenatti, star of the French pop charts.